The Board hereby announces the 2019 General Assembly for SIETAR Polska will take place on Sunday, 3rd March 2019 from 10:00-15:00 in Warsaw. Elections will take place for members of the Board (3 or 5 people) and the Revision Committee (3 people). A list of candidates declaring their interest will be sent by 10th February 2019. If you are interested to act as a Chairman/Chairwoman or a Secretary for the General Assembly, please notify us with an email to eg@eileengricuk.com. We are planning an event for members to take place in Warsaw on Saturday, 2nd March from 11:00-18:00. Participation in the workshop is free. We will offer you snacks, water, tea and coffee at both events. Our fifth SIETAR Polska Congress came to a close on 13th October after two full days of stretching, chatting, questioning, listening and learning. Highlights of this year’s edition of Congress include: over 25 program items taking place over 2 days; guests and presenters from over 10 countries; inspiring and memorable opening keynote given by Tatyana Fertelmeyster; a special 10th Anniversary Gala Dinner complete with stories from founding and pioneer members Radek Walentynowicz, Basia Bartczak and Michalina Konkel; and, of course, the radiant autumn colors and spirit of the historic Krzyżowa Foundation. What could be done differently? “Dealing with Difficult People, Difficult Issues, and Difficult Moments” skill training for educators of the POLIN Museum. Malwina Bakalarska, Kinga Białek, Ludmila Biernacka, Kuang Yi Chao + Julia, Monika Guzek, Ania Kawalska, Bastian Kuntzel, Mik Kuczkiewicz and Dawid Rutkowski. We also wish to acknowledge Estoria Marketing Agency (http://estoria.pl/) for helping with the graphic work. Thank you to all the participants for joining the Congress at Krzyżowa and making it inspirational! The SIETAR Polska Congress is coming up in October of this year and we’re taking a radically different approach this time. The Congress will take place in Krzyżowa, a small village ca. 50km outside of Wroclaw. While small in size (around 220 inhabitants), Krzyżowa (http://www.krzyzowa.org.pl/) is of significant historical importance. The village was the seat of the von-Moltke family, who, on their estate, lead the “Kreisau Circle”, a community of diverse people opposing the Nazi regime during the 2nd World War. It was here that in 1989 the Polish Prime Minister Tadeusz Mazowiecki and the German Chancellor Helmut Kohl held the first reconciliation meeting between the two countries and decided to develop this property as an International Youth Meeting Centre. 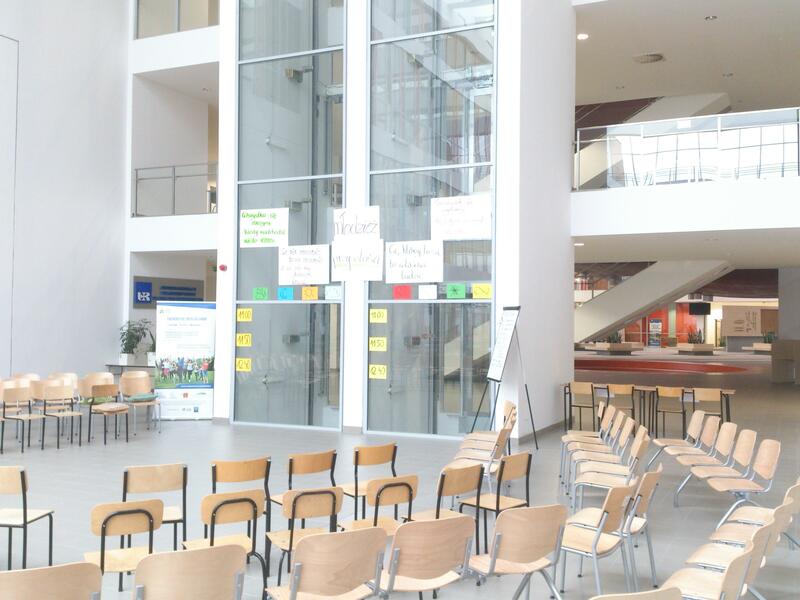 It hosts thousands of Polish and German youth groups and school classes each year along with other international meetings, conferences and training courses. We have chosen to host the SIETAR Polska Congress in Krzyżowa not only for its historical relevance to our work in SIETAR, but also because it will allow us to have a more immersive Congress experience. We will live, eat, learn and teach in the same beautiful place allowing us to really spend time together, form new relationships and deepen old connections. The theme of the Congress, Integration X, is a topic that moves Poland, Europe and the world at this time. People are forced to leave their homes in almost every corner of the world and seek refuge and meld into new environments. Technologies are advancing at a rapid pace and integrating into increasingly more parts of our lives. Large organisations realise that corporate citizenship and social responsibility cannot just be handled by one department, but must, as a transversal value, become integrated into every aspect of running the business. All of these circumstances create the need for integration. The “X” of the Congress theme stands for the unknown; it stands for “exponential” - and, as luck will have it, X also is 10 in the Roman numeral system and 2018 is the 10th anniversary of SIETAR Polska; so there you go. Nerdshops are for thinking together; creating new insights and deepening our collective understanding. Here, we will be exploring concepts and issues such as Diversity, Hate-Speech, Radicalisation and Polarisation, Reconciliation, Resonance, Emergence, etc. Workshops are for doing together; creating new practical skills and increasing our comfort with specific tools. These workshops will be all about specific skills to meet the requirements of the future. Open Space to create and develop: Partnerships, Projects, Research Initiatives, Training Products, Diagnostic Tools, Evaluation Tools, etc. To help wake up minds and bodies for a day of learning, we would like to offer yoga, meditation, reflection walk or other similar activities. If you are able to run such sessions, please submit your ideas here. For this module, we’re looking for speakers who have significant insights into the challenges we face today as a society. How can we understand the forces that shape our world better? What is the cutting edge from the political, social, psychological, economic, ethnographic and educational sciences, among others? This session could be a talk followed by Q&A or other similar suggested format. If you have an idea for a contribution to this topic, please submit your proposal here. A Nerdshop is like a workshop, so, interactive and collectively productive by design. It is nerdy, in that each Nerdshop is meant to address one concept, introduce it and then go deep into what it really is, what it means, what it means for intercultural professions, and how it could be applied. If you have recently become fascinated with a concept that you wish to share and discuss with your peers from SIETAR, please submit your proposal here. In this plenary session, we want to invite you to propose inputs that are best presented on a stage, in 10-15 minutes. Do you have an experience, an idea, an approach or a perspective that you want to share with your community of interculturalists? Please submit your proposal here. After Day 1 which was all about going deep and really understanding the present, the 2nd day is about looking ahead. In this session, it’s all about stories of success. What can we learn from the successes of others - what worked in one context and might work in others? We’re looking forward to seeing your proposals for this session, which you can submit here. And finally, before we start creating the future, let’s skill up. What methods or approaches can you share and teach to your peers in a 1.5 hour workshop? While the Nerdshops are all brainy and conceptual, these workshops should be practical, tangible and directly applicable. Submit your proposal for a Skills-Workshop here. Submit your proposal by clicking on the link within your selected session type above (i.e. Nerdshop) where you will access an online form. Please complete the form with the requested information. The deadline for submitting proposals is: 11th March 2018. Notice of acceptance will be given by 9th April 2018. The main language for the Congress is English while we welcome submissions for sessions in Polish as well. We?re very glad that we had an opportunity to cooperate with 25wat ?creative agency which designed corporate identity for the Congress. 25wat is a team specialized in fields such as: marketing, communication design, graphic design and web design. If you need any help in solving your company?s or brand?s problems do not hesitate to contact with them. We would also like to thank all the Sponsors and Partners of the Congress! Open Space Conference – How to build DiverCity / Jak zbudować miasto różnorodności? The conference aims to develop intercultural competence among inhabitants of Wroclaw and its vicinity, with particular focus on some 60 persons directly or indirectly dedicated to the of cause integration and intercultural exchange. The open space conference will take place during the third day of the SIETAR Polska Congress, on November 27th 2016. The meeting will be held simultaneously in Polish and English. Participation is free of charge and the registration is available here. 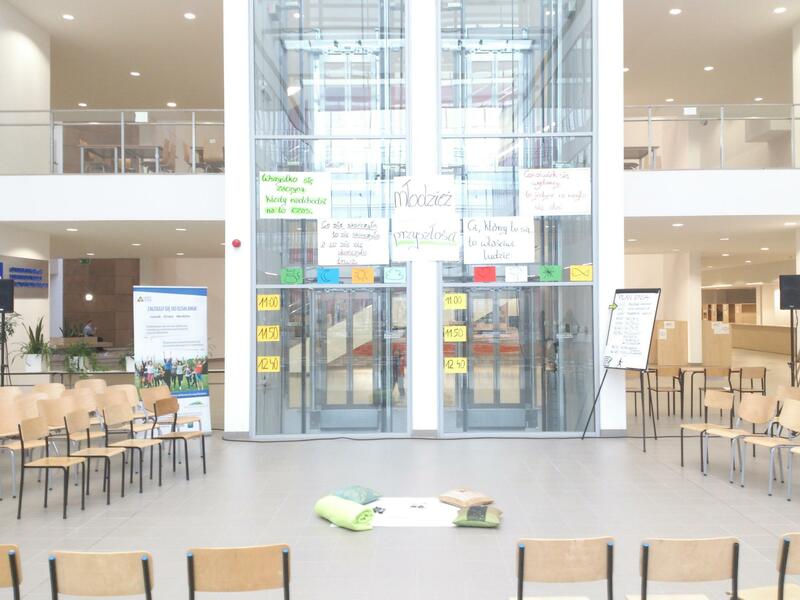 Open Space Technology is an innovative method enabling purposeful meetings for groups up to 2000 participants. It allows them to discuss highly complex and important issues in an interesting and proactive manner. If intercultural dialogue and engaging the local community are meaningful to you, this conference cannot be missed! It is a unique opportunity to take part in a free, international conference. Fot. Andrzej Łapkowski. Zdjęcie pochodzi z konferencji prowadzonej metodą Open Space, zorganizowanej przez Fundację Dobre Życie. The question: How to build DiverCity? emerged during discussions and meetings of people devoted to the idea of spreading intercultural dialogue in Wrocław. We will gather in a bigger circle and discuss in the open space how to contribute further to this cause in Wrocław. We invite people from various backgrounds to join us in discussion. It is an immense value of the open space that by inviting participants, we aim at diversity. [The discussion gains immense value by opening up the invitation to all interested in creating diversity in their community.] It means a lot to us to meet in one place with those who are keen on promoting intercultural dialogue or have a relevant experience of what hinders and what aids this dialogue. Around 60 people from different areas of expertise will take part. There will be local entrepreneurs, administrators, NGO professionals and the like. We have a place for your voice as well! Programme: There will be no expert lectures, long speeches or watching the clock for the break. Your attention will be channeled to create the programme together during the meeting. We will address issues that matter to us. Introduction to the main theme and organisational issues. Participants submit their ideas for a topic to discuss and pick the time and venue in the agenda. Collection of all topics raised and programme closure. Formation of discussion groups in dedicated places. Working in groups and presenting the effects. Planning of local initiatives and setting the agenda in groups. Preparation of a joint report and sending it to all participants. Organiser: Society for Intercultural Education, Training and Research SIETAR Polska. Members of the organisation are intercultural trainers, scholars, companies and people passionate about interculturalism. Each year we organise meetings and congresses countrywide, where experts from all over the world present the most current ideas. During meetings of the local groups we share our knowledge and experience, organise meetings with experts and realize various projects. Moreover, there are 3 thematic sections in SIETAR Polska: training, academic and refugee, which all aim at the development of our members. Facilitators: Kinga Białek, Kinga Bujalska, Michalina Konkel, Roman Warkocz, Anna Zelno and SIETAR Polska volunteers. 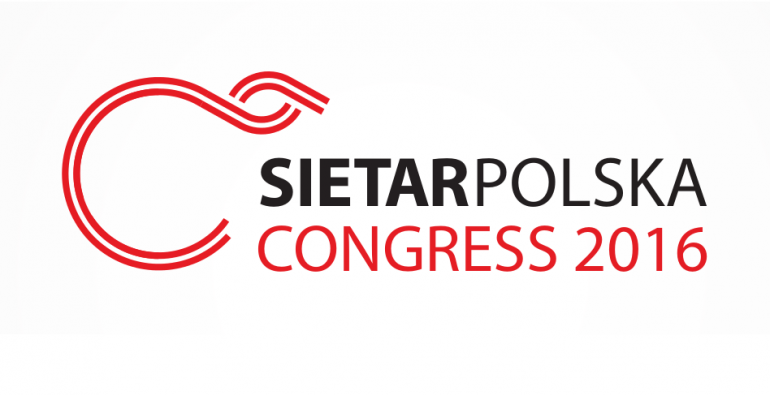 Find out more about SIETAR Polska Congress 2016 here. It?s beyond question: intercultural competence IS the key to the globalised world. Study after study has shown that diverse teams are more creative, more productive and have better results. They have also shown that people expect more conflict and a more difficult process in culturally diverse teams. Intercultural specialists from academia, business and the training field have been working for decades to advance the knowledge and develop the skills of all those working internationally to enable them to navigate these complexities successfully. Through November 25-27 many of them will be in Wrocław, Poland for the Congress of the Society for Intercultural Education, Training and Research (SIETAR) Polska. While the Congress can only accommodate 120 participants, everyone is invited to the Opening Session on November 25th at 9:00 at Kino Nowe Horyzonty, which will be free and open to the public. We?ll take you on a trip around the world, through a multicultural, multi-disciplinary experience. In a one of a kind event, we?ll explore the meaning of intercultural competence through different lenses ? including an experimental dance performance, specially designed for the event by Cloud Theater, a comedy routine by Famous Jim Williams, peppered with unique musical performances, and keynote speakers Agnieszka Orłowska, site lead of Google in Wroclaw, and Livingstone Thompson from Dublin, Ireland. The entrance to the Opening Session is free, but places are limited. To secure your seat, register here. Find out more about offer of the Congress SIETAR Polska 2016 here. The SIETAR Polska Congress is already coming closer and closer on the horizon. It?s going to be an amazing experience for everyone who will be there. But for many people it already IS an experience: The Organising Team. We want to introduce a few of them as we approach the SIETAR Polska Congress 2016 in Wroclaw. I’ve been volunteering for SIETAR for over 10 years already and I had the honor to be one of the co-founders of SIETAR Polska. Therefore, this Congress is for me the natural consequence of my commitment not only to SIETAR but also to the community of interculturalists across the world. I firmly believe that our world needs more intercultural sensitivity and competence. Being Head of Congress Organising Team is for me also a great test of my leadership skills especially coordintaing a diverse team of talented volunteers remotely. I enjoy a lot working with engaged colleagues and friends with intercultural background and with similar passion as mine but with different perspectives and experience. I hope, that during our Congress we can create space not only for networking but we can also change a bit some paradigms of work interculturalists do. Over ten years ago I had a dream to become intercultural trainer, today I work as talent and diversity consultant where delivering intercultural training is part of my job. I’m happy that I can share my knowledge and experience within the Pre Congress Workshop and inspire people. Especially now in Poland there is a need of rising intercultural awareness across every sector and this is also the objective of our congress. We hope to make an imapct on local society in a long term perspective. I volunteer for SIETAR because I believe that intercultural competence can help us to co-operate better globally in many aspects: social, political and economically. If we want to build stronger communities locally, we can benefit tremendously from sharing international experiences and knowledge. My hope for the congress is that it will trigger positive action and be a space where representatives from different areas can co-operate and learn from each other. All this time and energy that I invest into the congress is a pleasure for me as I learn from wonderful, engaged and open-minded international experts. This will be a powerful event with top quality audience and content. I am really proud of what we have created so far. I really enjoyed when we achieved exactly what we planned in the first face-to-face meeting with the team after so many months of only virtual co-operation. The diversity of the team is our strength. We approach tasks so differently and get things done so differently, but in the end the results are just much better than what anyone could have achieved on their own. Do you want to enjoy the fruits of Aneta?s labour? The SIETAR Polska Congress is on the 25th and 26th of November in Wroclaw. Here is the programme and here you can register. There will be a great Pre-Congress Day with special trainings, learn more here. After the Congress will be an Open Space about ?How to build DiverCity?? Work on the Congress so far has meant many things- evenings on skype calls, and hundreds of messages, all taking place across borders and languages. It?s also been the melding of ideas, making new friends and immersion in a living laboratory of diversity at work. Exhausting? Yes. Fiery discussions? Yes. Worthwhile? Yes! People matter to me and so does our collective future. The SIETAR Congress is a moment that will bring people together to learn, share and re-fuel ourselves as advocates for the human side of life wherever they may be, whether it is in business, schools or neighborhoods. Not registered for the SIETAR Polska Congress yet? No problem. Go here for more information on the programme and here to register.